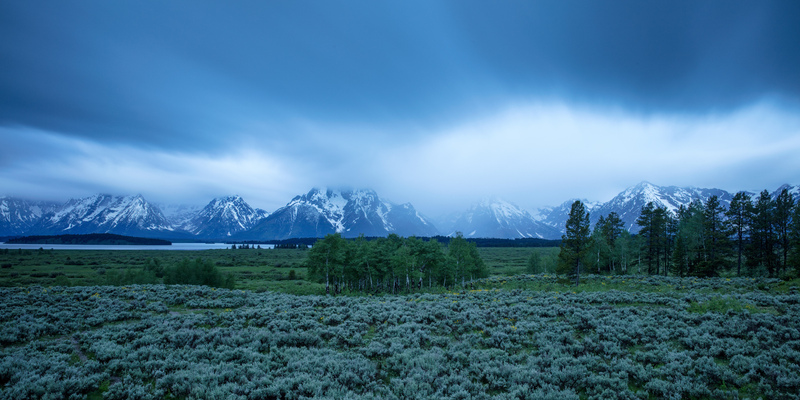 A cloudy, stormy day in Grand Tetons National Park, WY. Pretty rough weather the whole time we were there, but still had a blast. Photo © copyright by Luke Tingley.